Patricia Paterson was born and raised in Wisconsin. After graduating from the University of Wisconsin in 1974, she taught physical education and coached swimming and gymnastics for four years at East High School in Madison, WI and Sauk Prairie High School in Prairie du Sac, WI. Patricia then went on to earn her M.S. and Ph.D. degrees from the University of Wisconsin-Madison. 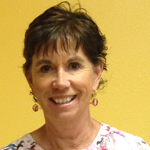 From 1985 to 2014 Patricia was a faculty member at San Diego State University in the Physical Education Department (later named School of Exercise & Nutritional Sciences). During this time, she taught Measurement and Evaluation, Statistics, Research Methods, Introduction to Kinesiology and activity classes, including swimming and aerobic dance. She received the Outstanding Faculty Award in 1994 and 1997. She was named the “Most Influential Faculty Member” on three separate occasions. For students admitted to Mortar Board and once for a student who earned “Quest for the Best,” a status is given to no more than ten students each year who have excelled in service to the university and community. Patricia’s research interests focused on measurement issues (specifically validity and reliability) for measures of physical fitness and physical activity. She published33 articles and two book chapters. Her work with graduate students included chairing or serving on thesis committees for over 100 students. Patricia played a significant role in service to the Department, College, and University during her tenure at SDSU. She was a member or chaired numerous committees at all levels. She was ENS Graduate Advisor (1997-2001) and Undergraduate Advisor (2006-2014). Patricia also served as a statistical consultant for graduate students and faculty from 1985 to 2002. Outside the University, Patricia was very active in the American Alliance for Health, Physical Education, and Recreation (now SHAPE America). She was Secretary for the Measurement and Evaluation Council (1987-1990), Chair-Elect of the M & E Council (1993-1994), and Chair (1994-1995). These roles, as well as her record of publishing and presenting scholarly work in the discipline of Measurement and Evaluation, resulted in her receiving the Honor Section Editor for Research Quarterly for Exercise and Sport in 1996- 1999 and 2005-2007. During 2002-2006 Patricia was the Associate Dean for the Division of Undergraduate Studies. In this capacity, her chief responsibilities included chairing the Student Learning Outcomes Committee and developing a process for reviewing activities of every academic program on campus regarding student learning. She was the lead author for the WASC reaccreditation process.  As a result of the work of the entire campus on the themes developed for the reaccreditation process and written documents, SDSU was the only university I the western region to receive a 10-year reaccreditation. Her work as Associate Dean was recognized by President Weber who awarded her a TOP 25 AWARD in 2006.